On golf course. Near clubhouse and lake. The Big Sky Lodge is a log-sided ranch home in the heart of the Spring Brook Resort. The home overlooks the golf course and is just steps from the main Clubhouse. This vacation home is huge – 4,200 sq feet! Walk into the beautiful living room with a gas fireplace and huge flatscreen TV. The finished basement offers the perfect entertainment location! The family room includes another large flatscreen TV, foosball table, air hockey, wet bar, and more. This property features a THEATER ROOM, relax as the 60" flat screen displays your favorite movie right in your vacation home. Head outdoors to your spacious deck which offers ample seating – throw your favorite dish on the charcoal grill and relax! Make sure to bring marshmallows because Big Sky Lodge includes a firepit, spend an evening roastin’ some s’mores. 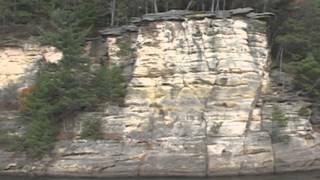 There’s so much to do in the Wisconsin Dells area. Explore the paved picturesque trail within Spring Brook Resort. Crowd favorites include the various boat tours and off-roading adventures through the northwoods and on water. Take a splash in the area lakes or visit one of the many waterparks. Other activities include biking, fishing, hiking, swimming, shopping, and more. Rates for this home are based on 12 people over the age of 3 years old. Additional per person/per night fees and/or a Security Deposit may apply.